I read this article and found it very interesting, thought it might be something for you. 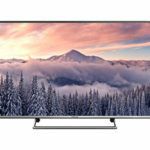 The article is called Panasonic Viera TX-49DS500B Review and is located at http://tvreviews.co.uk/panasonic-viera-tx-49ds500b.html. For the price, the Panasonic TX-49DS500B delivers a great experience. It has great imaging with the 1080p screen and the user gets a vast array of features that they can access. The Smart TV has all of the popular apps and several features that help to make this one of the more versatile TVs that you will find. When you consider the screen size, the quality viewing and the features, it makes this model a really good value. 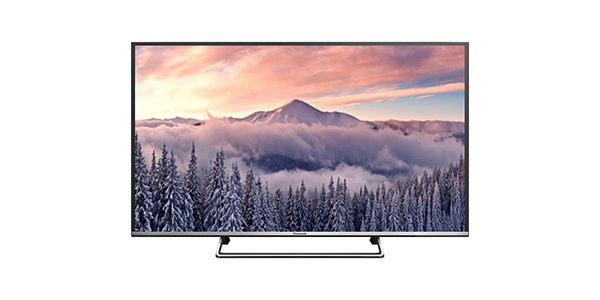 The Panasonic Viera TX-49DS500B is a good Full HD TV that offers the user a great selection of features. With this model, you get excellent viewing from the 1080p screen and it comes ready to provide a world of entertainment options through the Smart hub. For the picture quality, this 49-inch Full HD TV is really impressive. The images come through in true to life fashion and it is equipped with features to make for a first-rate viewing experience. This model from Panasonic uses adaptive backlight dimming to provide some of the deepest contrast that you will find and it processes images quickly for action scenes that move smoothly with no blurring. Consumers will also be very pleased with the selection of entertainment features that the TX-49DS500B comes with. This model comes equipped with a Freeview HD tuner and freetime with a 7-day programme guide. Additionally, you have the USB with media playback and a wide range of Smart features that will provide an almost limitless selection of entertainment options. This TV offers a vast array of Smart features. You can connect with popular streaming services like Amazon Instant Video and Netflix, you get TV catch up with apps like the BBC iPlayer, All 4 and the ITV player, plus you get social media services with apps for Facebook and Twitter. Beyond that, it also comes with a full internet browser and the TV can connect to your Smartphone or tablet to allow for functions like screen mirroring. All in all, using the Smart features and the regular TV features is pretty easy with the included remote. However, accessibility can be improved using the Panasonic remote app. You have the MyHome screen for accessing all of your apps and they load up quickly. As long as you have a decent internet connection, there should be very few problems with things like buffering. For an onboard system, the sound on the TX-49DS500B is pretty good. The consumer should not expect to get the kind of punch and depth that you would get from an external system, but it definitely has enough for enjoyable watching. It comes equipped with two 10W speakers and the Panasonic V-Audio for sound enhancement. For connectivity, the user gets all of the basic options that they need to use all of the features. This model comes with 2 HDMI ports, it has the USB connector, an output for optical audio, a component input, an output for headphones and you have the choice of Ethernet or Wi-Fi for connecting to the internet.